Have you ever come across profiles that have the name and images of a business organization (especially a logo as profile picture) instead of a real person? Some people may also receive friendship requests from such profiles. There are various businesses that have profiles (instead of pages) on Facebook. Why did businesses launch Facebook profiles? When the trend of using Facebook for business purposes started, business owners that could see serious potential in Facebook had no option but to launch a profile for their business. Why business owners do not convert their Facebook profiles into pages? Over the years, the connections have brought success. There is little motivation to change a good thing. Many small business owners have only had time and energy to learn their way around a profile. Therefore, as far as their Facebook presence was concerned, they stuck with and followed that what they knew and understood. 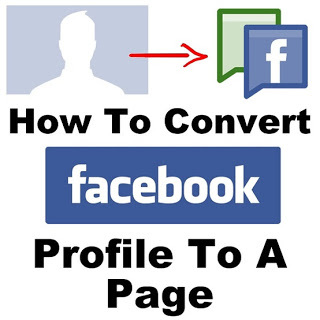 Is it beneficial to convert Facebook profile into a Facebook page? Maintaining a personal account for anything other than an individual person is a violation of Facebook’s Statement of Rights and Responsibilities. If you don’t convert your noncompliant account to a Page, you risk permanently losing access to the account and all of its content. How many people LIKE the official page of your business is only the beginning. In order to obtain positive results for the time you dedicated to the Facebook presence for your business, you need to be able to determine the makeup of your fan base, their consumption habits, and how well your message propagates beyond the people you are directly connected to. Since Pages are designed for business use, they come with tons of data not available to a user profile. The page “Insights” provides information about what kind of interaction and reach each post on the page has generated. Insights can also classify your fan base by gender, age, location, and how they came to land on your page. This kind of data enables you to understand your fans, potential fans and target audiences in a better way. Facebook has billions of users. It is a huge draw for any business looking to expand their customer base or fan-base. However, reaching the right people at the right time is a tricky task. Facebook had designed a user profile for personal one on one relationship. Profile was never intended to reach large groups of people. 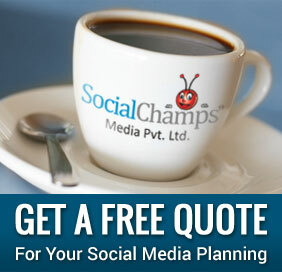 The most powerful tool offered by Facebook for reaching its vast user base is advertising and promotion. This tool is only available to business pages. If you want to reach Facebook users that you do not already have some connection to, you need to have a Facebook page and get access to the business promotional tools. Facebook Graph search will fundamentally change the way users navigate the topics and connections that interest them most. Soon users will be able to search for restaurants their friends like. However, if you are interacting with your Facebook connections as a “friend” with a user profile rather than a restaurant with a business page, you could end up pointing your friends to other restaurants. On the other hand, if you have page, the friends of your potential customers can point them to your business. So long as you operate you business on Facebook as a user profile, your business will be defined by search as a friend. In order for new people to discover your business via Graph Search, you need your business on a page on which people can click the “LIKE” button. On Facebook profile, you can have maximum 5000 friends. And some people do not like friendship requests from unknown people. Suppose one guy rejects your friendship, Facebook may block Friendship request feature on your profile for some time in case you and the other guy do not have a mutual friend.Now that Facebook has taken a tough stand against spammers and potential spammers, even having mutual friends also serves a risk.On the other hand, if you have a page, you can invite friends to LIKE it. Post relevant content so that its EdgeRank improves and improves your page‘s search ranking. Then people will come and LIKE your page. The number of LIKES is not limited to 5000. It can be in millions. Therefore, do launch a business page on Facebook. How can I convert my business profile into a Facebook page? When you convert your personal account to a Facebook Page, we’ll transfer your current profile picture and add all your friends and subscribers as people who like your Page. Your account’s username will become the username for your Page, and the name associated with your personal account will become your Page’s name. If you want your Page to have a different name, consider creating a new one. So are you ready to convert your business profile into a page? We hope that the five points shared here have convinced you.